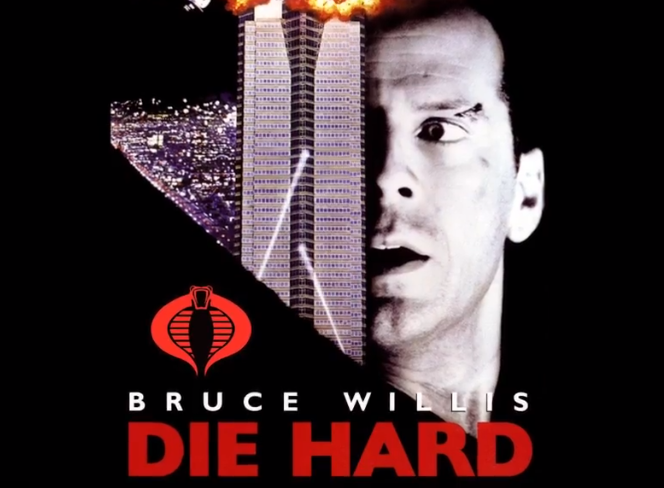 New episode ! 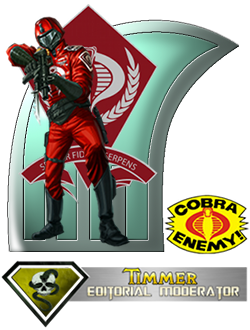 We ask the question if a GI Joe/Die Hard crossover could work ! New episode ! 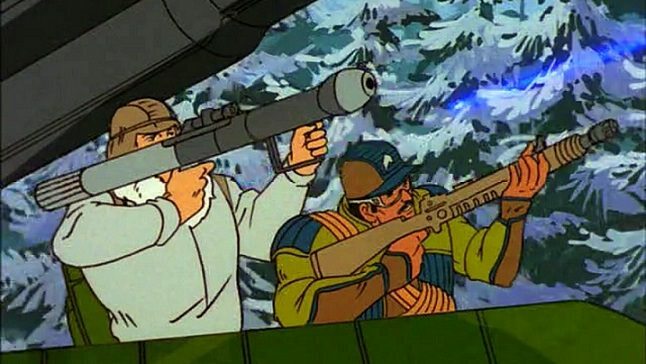 We take a look at the cartoon episode "An Eye for an Eye" ! New video is up ! 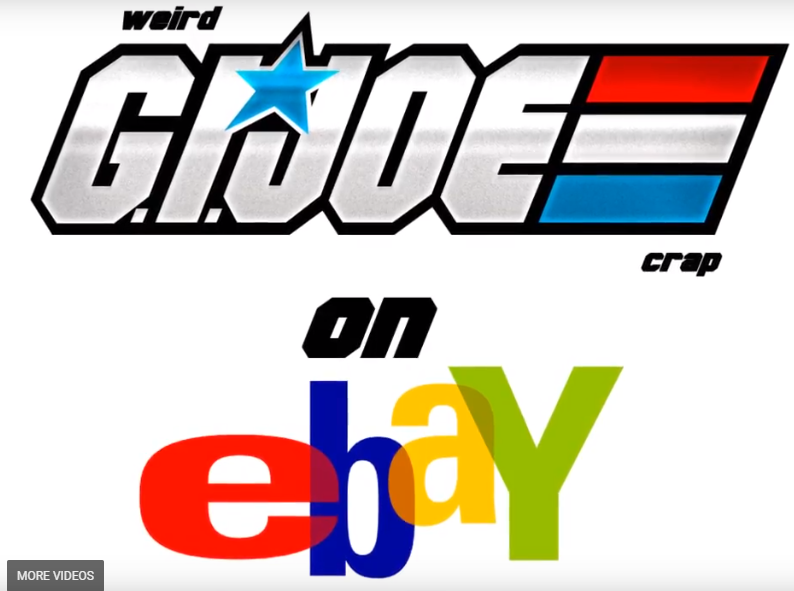 Weird and stupid GI Joe stuff I saw on Ebay ! New episode ! 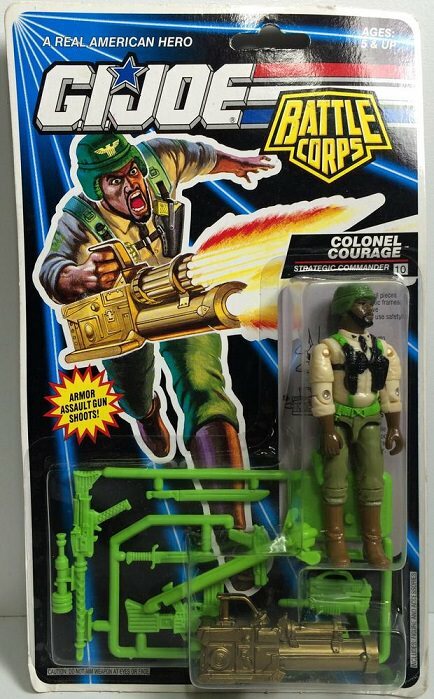 We take a look at Colonel Courage ! New video ! A Vlog of my trip to the FACTS Belgian Comic Con plus unboxing the loot I got there ! New video is up ! 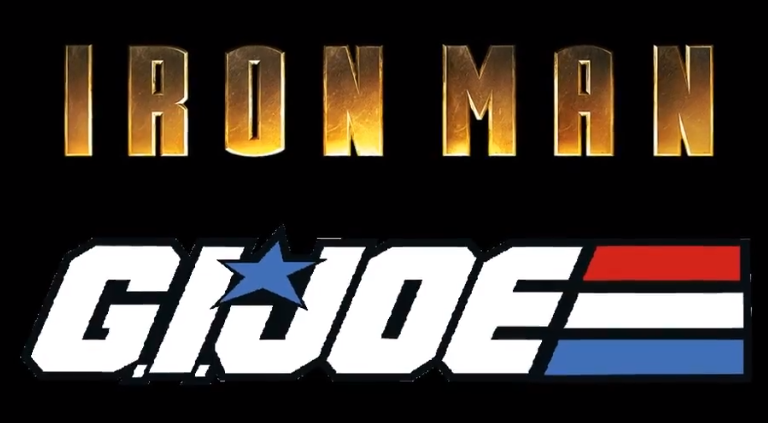 We ask the question, could Iron Man work in the GI Joe universe ? New video is up ! To explain why there's no new video ! New episode ! Welcome to Main Character May ! 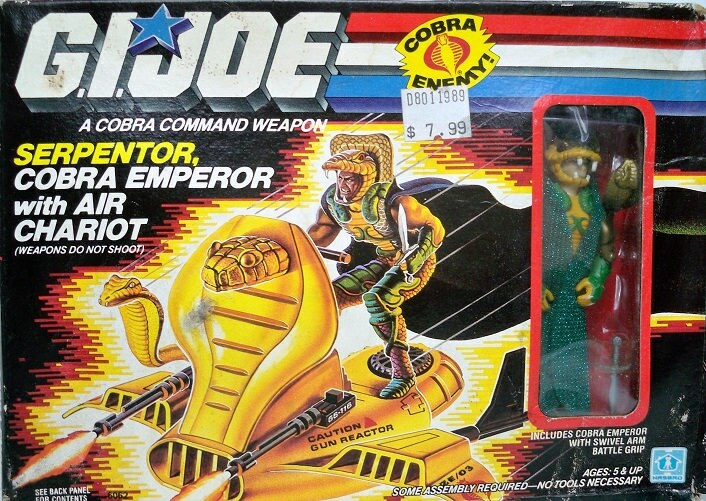 We'll be looking at Serpentor ! New episode is up ! 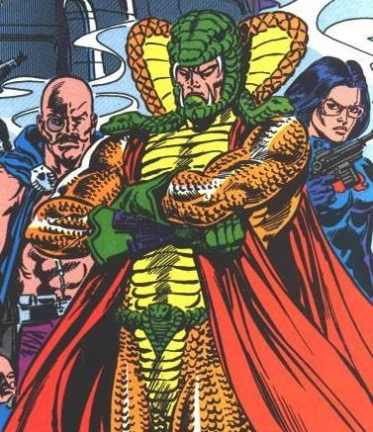 We continue our look at Serpentor ! New episode is up ! 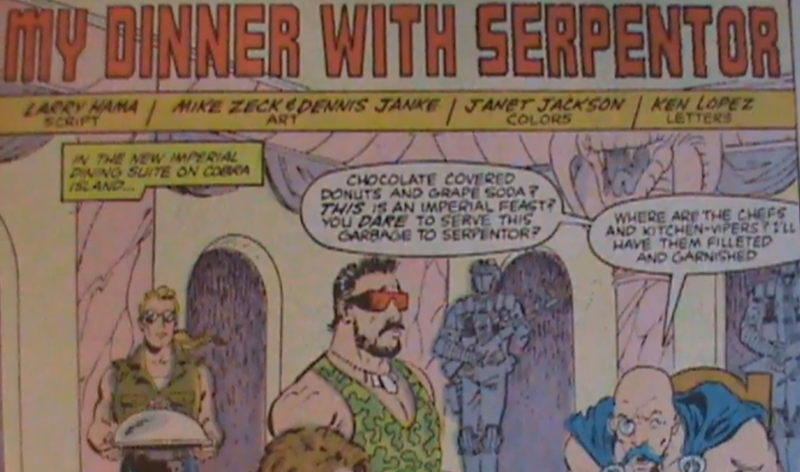 We continue our look at Serpentor with the comic short story "My Dinner With Serpentor" ! 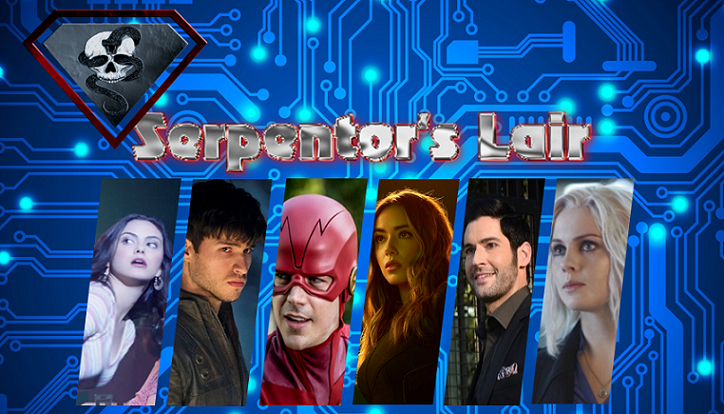 Hope you like tangents !